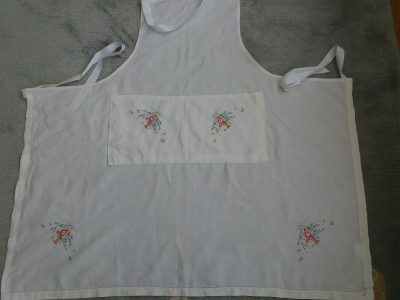 Apron made from tablecloth. 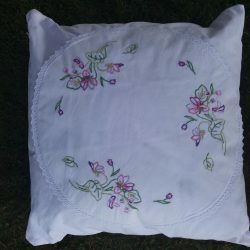 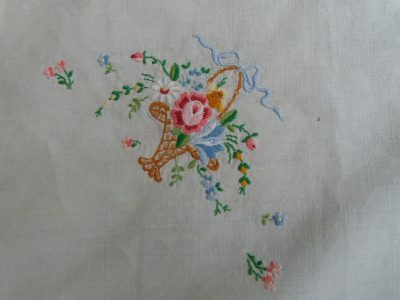 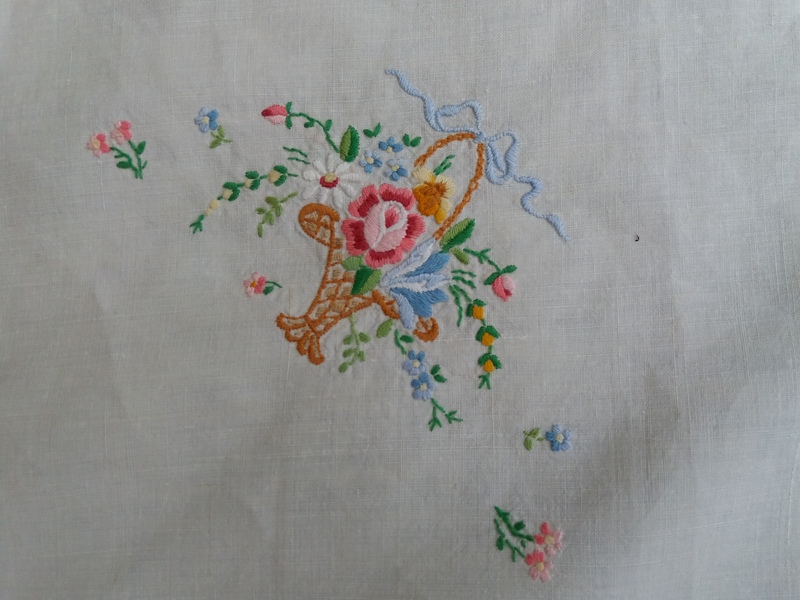 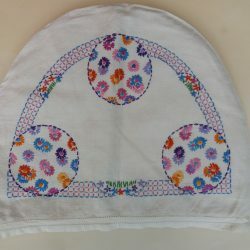 Embroidered baskets of flowers on corners and on split pocket (made from cut-out corners). 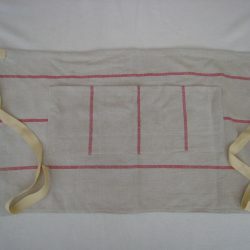 White twill waist ties and neck tie with D-ring adjustment.